Free McNuggets with GrabFood and McDonald’s! Get FREE 4-pc. 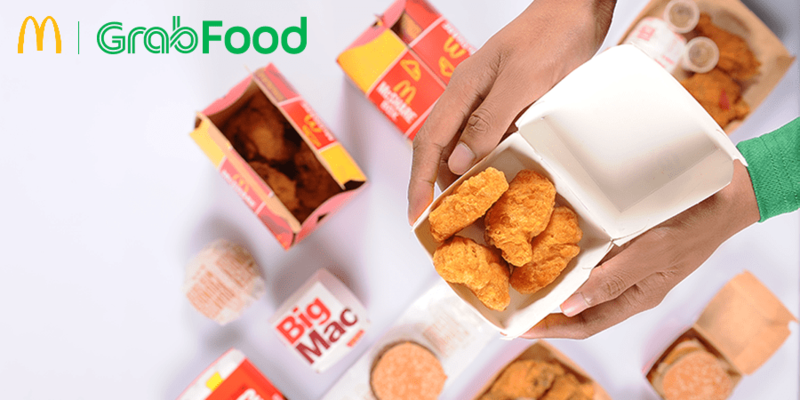 McNuggets for every order of McDonald’s participating meals under the GrabFood Exclusive tab. Select a McDonald’s store near you. Place your order and wait for your GrabFood rider to accept your order and deliver your food! For every order of one (1) McDonald’s participating meal under the GrabFood Exclusive tab, GrabFood customer will receive one (1) box of 4-pc. McNuggets for free. Valid only for orders made under the GrabFood Exclusive tab on McDonald’s Menu in the Grab app. Valid in all McDonald’s store in the Grab app. Valid to all Grab users in Metro Manila and Cebu. Valid from March 19 to 31, 2019. Valid from 11:00am to 11:00pm daily during promo period. Per DTI-FTEB Permit No. 4784 Series of 2019.